Hello guys, it is good to be back again with imei double data tweak which gives you extra data to the Data bundle you Subscribe to on MTN. It's be almost 2 years which we enjoy something similar to this because I could remember on this blog How Get Fresh 5Gb and 30Gb on your Airtel Sims which was perfectly working and you can as well accumulate, they are good old days before Airtel where able to discovered the loopholes and blocked it. Your old sim is still eligible for 100% Double Data on MTN and it's just with the same logic by tweaking our imei which Changes the brand of the phone and the network will be Detecting another Phone brand while you are using a particular Phone different from the one Network is detecting. Imei Tweaking completely change the identIde of a Brand and Hide the real manufacturer product. Nevertheless people who engage in imei Tweaking also need to be very careful because it demand a process whereby you need to root your device for some Specific Android version like Android 6.0 and up except in few cases where you are using MTK device which doesn't need root before you can change your device imei. 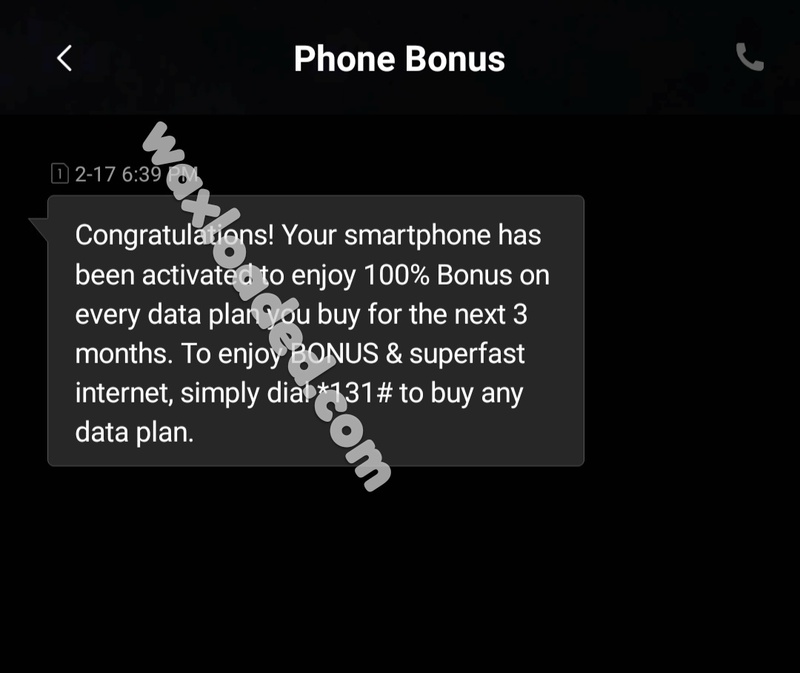 The latest working imei for MTN double Data will be shared on this blog so kindly do yourself a bit more of favour by Grabbing any of those imei and tweak your phone with it to get the Double Data on your Old Sims which has already received Double data bonus before. For new MTN you are automatically on the YafuYafu offer which is already on Double Data and moreover you get call bonus also when you recharge. 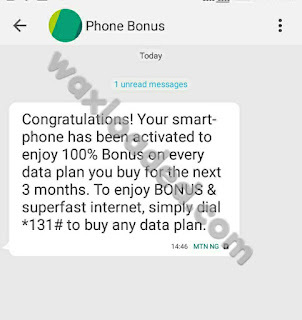 Do you remember the last Working Method for MTN 100% Double Data where you need to send an SMS DOUBLE to 131 followed by PROMO to 131 and the FREE to 131 but unfortunately after you initialize it only enjoyable for 3 months and then MTN reverse you back to their Normal Plan without giving you any Extra Bonus. This method is stale and has been Blocked so you can't activate this any longer Even if it's a New sim because the Double Data is already Activated for new Sims for 3 months. 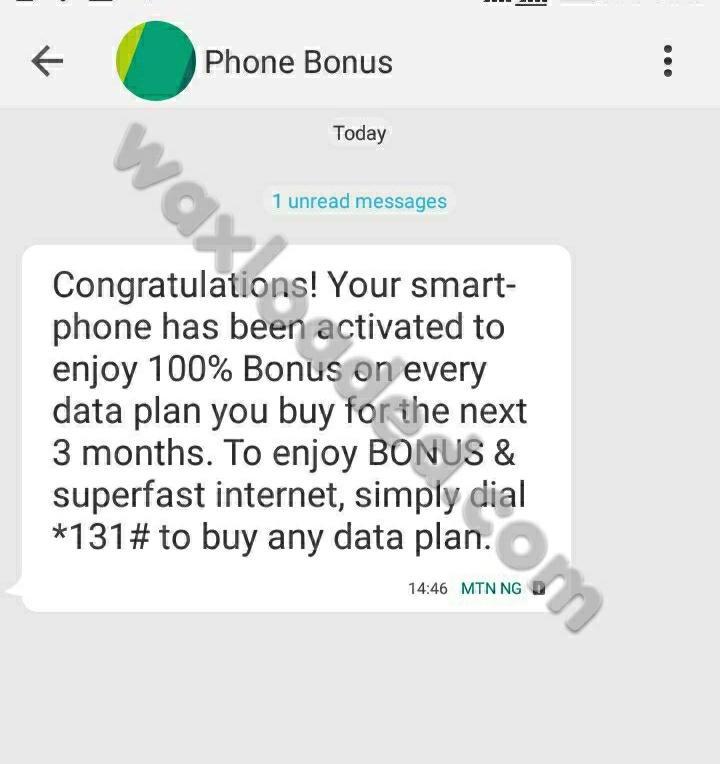 With this latest working imei for 100% Double Data on MTN you are going to be Enjoying Double of all your Purchase Data Subscription and Remember old Sims is eligible for this. The above imei's is for TECNO camon 11, You can either Get the 100% MTN double Data in 2019 with Tecno Camon 11 or Camon 11 pro. Do note that the above imei might have been used if you do not receive a Message From MTN Center number 131, in this case you don't need to Panic, just ensure Grable the first 12 digit of the Imei 359050095326*** and Tweak it. 2. Enter the above 12 digits imei and add 2 or 3 random numbers making it a 14 or 15 digit. 3. You will be provided with a valid last Digit which is the correct one. Note: It is advisable to back up your current imei do you can revert back to it anytime you want to. 6. Input any Letter if you have choose SIM 1 you Will See AT+EGMR=1,7,"". Now between "" enter the above imei like this AT+EGMR=1,7, "359050095326***" and let there be space between AT- and EGMR to avoid the error THIS COMMAND IS NOT ALLOWED IN USER BUILD. 8. Tap on the SENT AT COMMAND then immediately at nofication pop up with "AT COMMAND MSENT"
9. you either roboot or put your phone in airplane mode but it is ok if you put it on airplane mode and wait for some seconds before you switch off the airplane mode. To confirm if you have successfully change your imei you can dial *#06# mostly works for MTK device. Disclamer: waxloaded.com is not responsible for any damage cause during the process of changing your imei, so ensure you are familiar with your device to avoid other misharp. 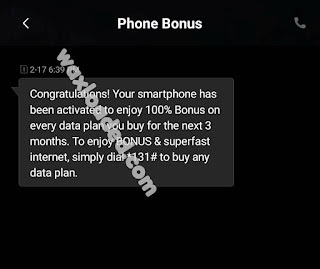 Note, if you successfuly Change your imei to a working imei that Gives 100% MTN double Data in 2019 then you will be eligible to get the offer within 10 minutes at most and MTN will notify you with a welcome Phone Bonus. If you didn't recieve the Message you can therefore change to another imei which mean the former used has already Been used by another Customer. The trick is this, if you have benefitted from MTN Double Data then to get this offer again insert your old sim to a new Device or you purchase a new sim which automatically gives you 100% Double Data or you opt for Imei tweaking to get your Double Data on old Device and old sim. If you encounter any problem share your experience below.